I was born and grew up in the US, but I currently live in Toulouse, France, which I guess makes me an expatriate writer. (Exotic, I know.) I've been stubbornly passionate about writing since I was 15, and have been storytelling in various forms since before then. Poetry was my first love, so much so that I pursued it through two and a half degrees; but if I'm honest, I'd have to admit that fantasy and science fiction have been in my blood for longer. These days, when I'm not parenting or sleeping off the side effects of it, I write mostly those three things and occasionally dabble in other forms and genres. I secretly yearn to finish and launch my two radio play serials. And I love puns—there, I said it. I can't not write. I love that feeling you get with a good poem or story that the floor has just dropped out from under you, and I love creating that with words and sharing it with others. On another level, what tends to interest me in terms of subject matter, well, that changes depending on where I am in my personal life. Whatever strikes my fancy in terms of writing always reflects some deeper aspect of a problem or issue that concerns me, that I’m thinking about or working on or that has been affecting me; I can't avoid this, it always happens, even if I don't intend it. So whatever I find that catches my eye gets bent toward the purpose of exploring and expressing my deeper emotional, spiritual, existential questions and concerns, as well as toward the endless need to create something that shakes people. Idea. Write it. Interrupt it. Come back later and add or revise. Interrupt. Repeat. Never finish. I say this only slightly as a joke. I have long had difficulty finishing projects, especially stories, though I’m getting better now and following through. On top of that, in my mind, a piece is never done. You know that saying, "A work is never finished, only abandoned"? Well, I never fully abandon anything. I have poems that I have considered complete for years, only to go back to them and make changes. And I have novels I’ve started but not touched in ages that I still consider active WIPs. And in truth, there's a lot of interruption in my process—a feature that has only become more prominent with kids—as well as painstaking revision, especially when it comes to poetry. I go back and focus on small details, make the language say just what I want. I’ll tinker until I’m completely satisfied, until that little voice inside me doesn’t have any more questions or concerns. And even then, I’ll have someone else look at it before deciding a work is where I want it to be. Can't say I have a favorite, but I do like Scrivener a lot. I've tried others—StoryMill, Ulysses, etc.—and many are decent, too, but Scrivener is so much more powerful and flexible than most of them. The Chicago Manual of Style. Use this book! /r/writingprompts for inspiration and practice. Other writing, games, music, and art for inspiration and instruction. Life. Get out and experience it. Breathe it, taste it, touch it, bask in it. The other biggest challenge for me is one you and I talked about via Twitter the other day: facing and moving through and past whatever it is inside me that believes I can’t do anything on my own, and shies away from the very actions that will bring me toward my deepest desires. My sense of artistic truth. My sense of cliché and drive to avoid it. My imagination. My ideas. My sense of sound and rhythm and beauty and grammar and language at the word level.More detail: I can sniff out cliché and commonplace like a hound. It rings false to me, and it should—language and ideas that have been overused lose their power. More detail: I can sniff out cliché and commonplace like a non-cliché thing with a good sense of smell. It rings false to me, and it should—language and ideas that have been overused lose their power. We should always strive to avoid them, find ways around them. As to truth, let me be more specific: a truth, not the truth. I don't believe in the latter, at least insofar as human perspectives go. But there are truths, that which is recognizable as human experience, that which moves us, resonates with us. When I write, I ultimately want to write these things. I want someone who reads what I have created to be moved to their core by what I've done, and to take pleasure in surface as much as depths. I am not really into giving generic advice. Everyone finds their own way, and what works for me may not be appropriate to you. If someone has a particular question that they want to talk out with me, want my input on, then I'll gladly help. But I don't want to give prescriptions or proscriptions. Understand/think about effects. Everything you write has effects on its readers. Manipulating these as much as possible is our job. Writing is strategic information management. See above re: effects. 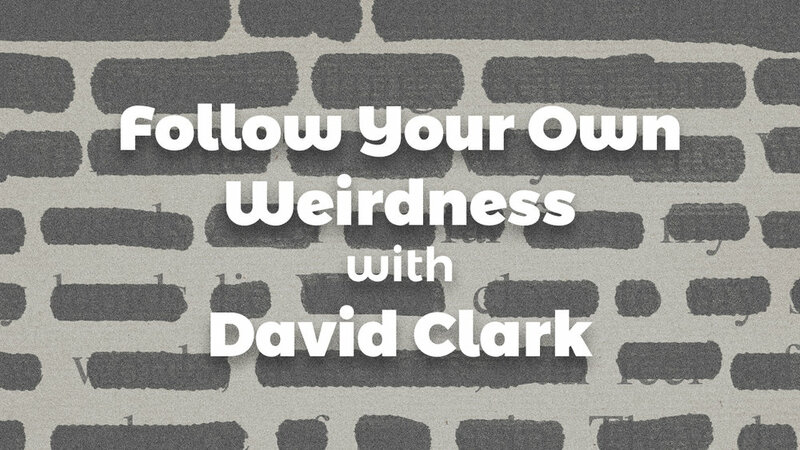 Follow your own weirdness. Embrace it. Trust your instincts, your gut. But verify, too. Train: Read. Practice. Learn about all the details, all the aspects of your craft. Strive to integrate them naturally into your writing. Get good, trustworthy feedback and listen to it. And then trust your instincts. Which, of course, you can develop and hone through study and practice. Check out my website, www.selfpluspen.com, or find me on Twitter (@selfpluspen) and Instagram (similar). You can also get access to behind-the-scenes content, video readings, and special editions of my work if you support me on Patreon (www.patreon.com/selfpluspen).